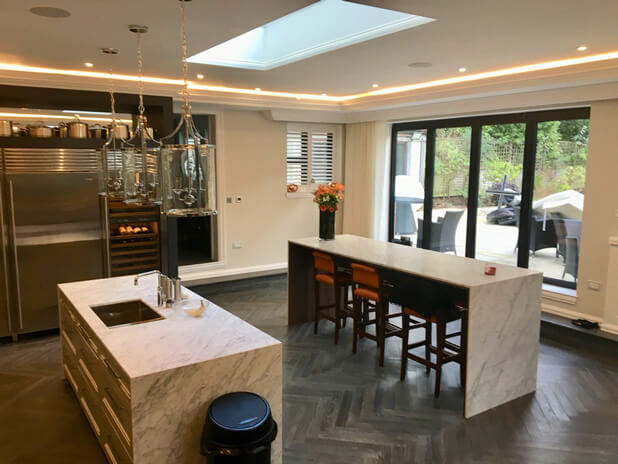 We were proud to be chosen as the shutter company to design and install for this spectacular property in Orpington, Bromley. 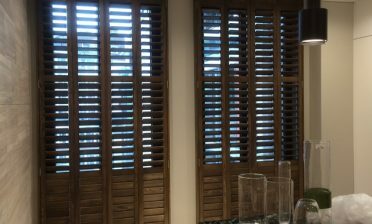 The owner Robin looked to us as one of the leading shutter specialists in the area to expertly design and install throughout the home for many different rooms. 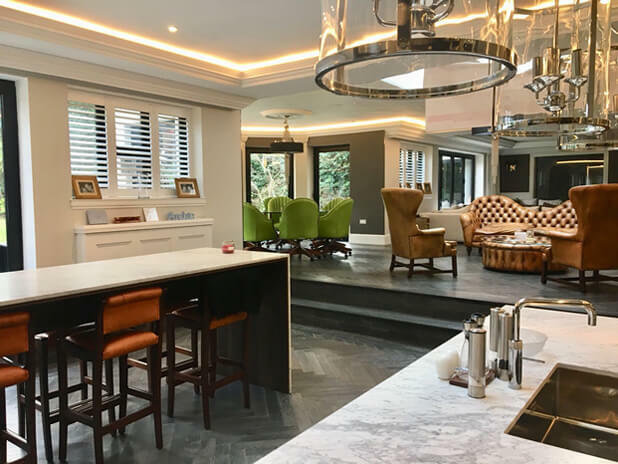 Working in multiple rooms throughout a home like this allows us to fully flex our designs over all manner of different windows using different materials, ranges and finishes! 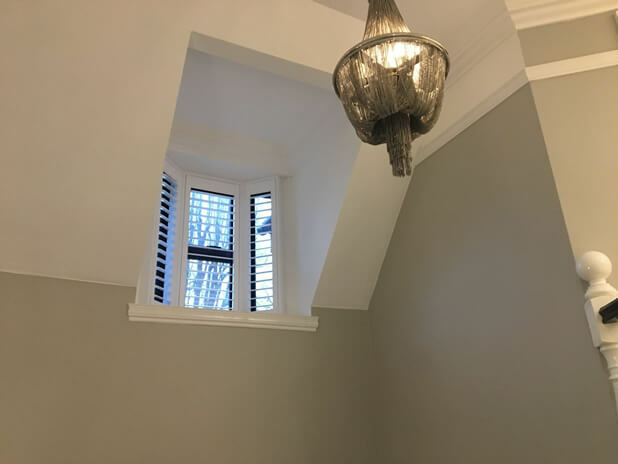 Our customer Robin had already done a fantastic job with the interior of this home, our shutters would be the finishing touches and act as extra focal points in the rooms. 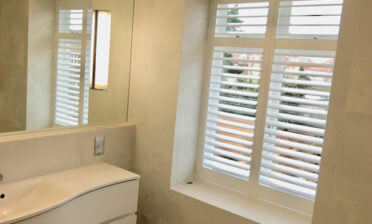 The home features different decors throughout, which each set of shutters needed to be tailored towards. 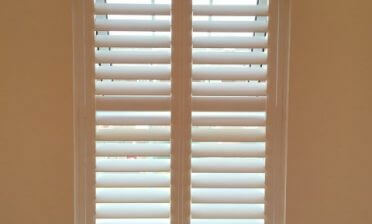 We discussed in detail with the client all the options and agreed on a plan for the shutters in each area. 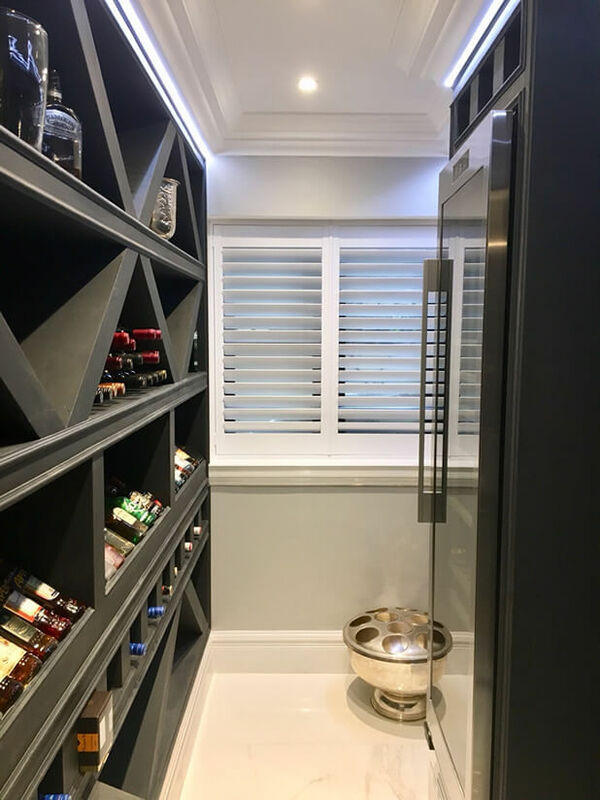 We used Antigua shutters in the dining areas, hallway, wine cellar, utility, master front, master rear, master bathrooms and hallway bay window, with Fiji shutters used for the ensuite! 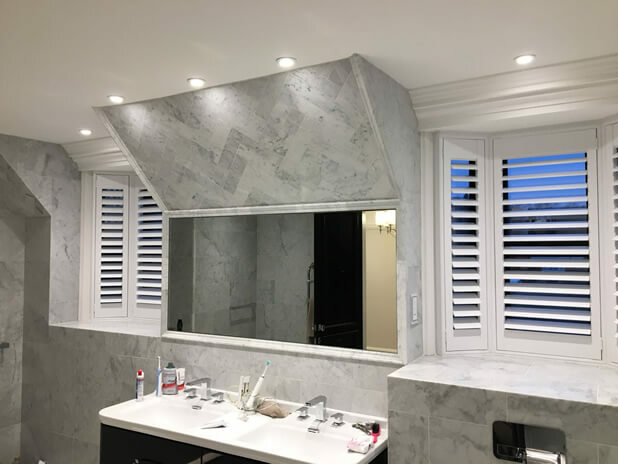 All shutters were created in a modern full height style with some panels featuring a hidden split in the wine cellar, master front and master bathroom. Silent tilt rod systems were used throughout to help achieve the modern, minimalist feel. 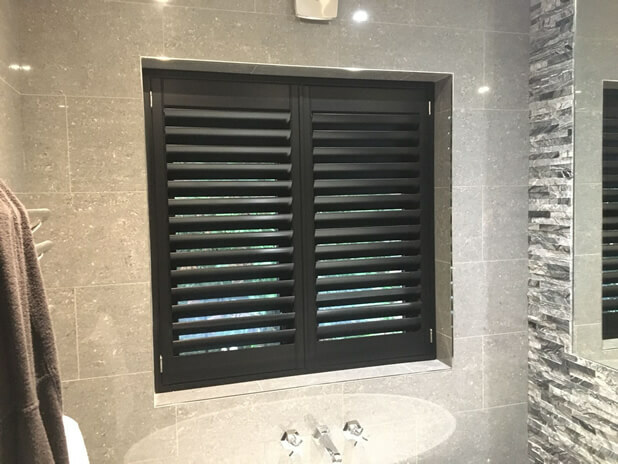 The majority of shutters were finished in pure white paint with the exception of one of the bedroom ensuites which was finished in classic black. 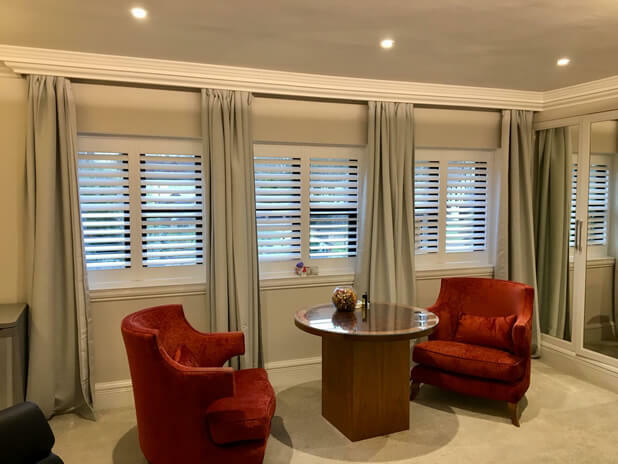 This installation was carried out by Tom to an exceptional quality as always, leaving the property owners and guests to enjoy their new plantation shutters for years to come!